Details about ANEWPOW Lithium Battery for iRobot Scooba 380/390/5000/6000. 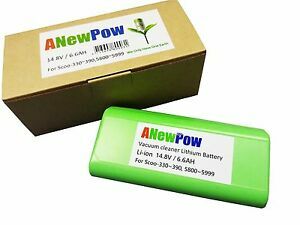 ANEWPOW Lithium Battery for iRobot Scooba 380/390/5000/6000. Immediate payment of RM 420.00 is required.